Hannah Eden's new four-week training program is already one of our most popular plans. Why? Because this flame-haired athlete is a master at squeezing the best effort out of everyone who follows her. Here's what you need to know to get started! Since early February, the vibe in the Bodybuilding.com gym has been a little more tense. It's almost as if there's an unseen presence in the weight room, watching over everyone's shoulder and holding them to a slightly higher standard than normal. What changed? Just one thing: FYR: Hannah Eden's 30-Day Fitness Plan was released—in the middle of the employee transformation challenge, coincidentally. Ever since, this dynamic RSP athlete's voice has been booming out of earphones and resonating around the BB.com yoga room, commanding everyone in earshot to dig deep and "Find Your Reason," as the titular acronym signifies. "It's awful. I love it," one employee told me recently, just minutes after finishing the first week of workouts. And that really says it all. With foul language (when necessary), Hannah will propel you through every workout—seriously, you should see the faces people make on the last plank of the day—but you'll finish strong, and keep coming back. 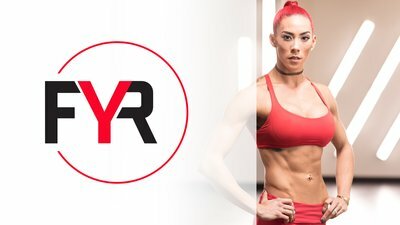 You can check out the first workout for free here, or just dive right in and start the full version of FYR: Hannah Eden's 30-Day Fitness Plan right away in All Access.